I want to give thanks to everyone who has sent me good energy, made a contribution and shared this fundraiser as I have gone through a multiple step process of diagnosis with my doctors. 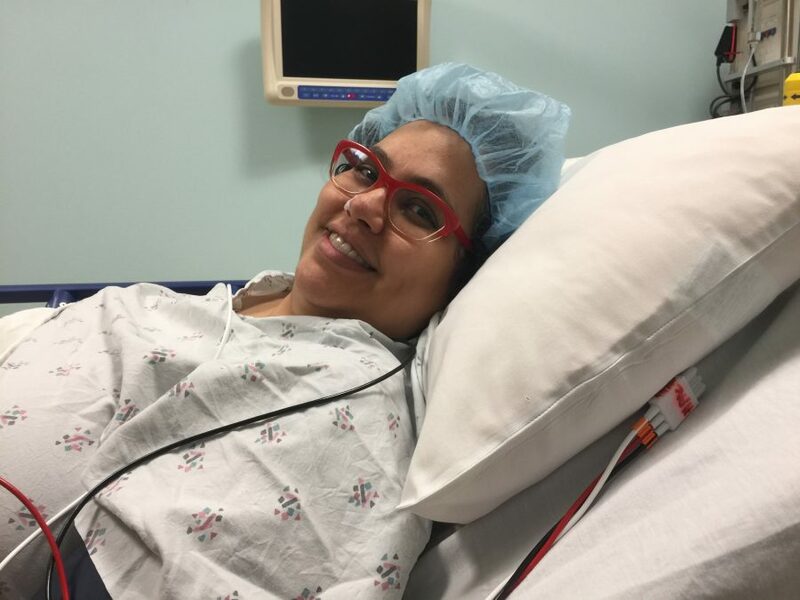 Instead of celebrating my 40th birthday this year, a few weeks ago, I spent most of the day dealing with the avalanche of emotions that came with the possibility of having cancer and imagining what it could mean for my life. Yesterday, I finally received the results of my biopsy and learned I have a somewhat rare type of lung cancer. Carcinoid tumors are slow growing which is a good thing! The team of doctors that have been conducting the tests believe that the tumor is limited/local/early stage but I have to undergo another scan to be sure. I will be meeting with more doctors soon to determine if surgery or other treatments are the best next steps. I will also take action on the sage advice to seek a second opinion as well as alternative parallel treatments. As I gear up to fight for my health and my future it’s hard not to worry about how we will make it through the real financial challenge of fighting this disease and not being able to work. The expensive co-pays, consultations from out of network specialists, alternative treatments, specials foods and the regular costs of living all add up. While I have a good insurance plan at the moment it will only last through the end of summer as it is continuation coverage that is available to me through my former employer. I worry about the future and being able to smoothly transition from this plan and continue having access healthcare with several preexisting conditions including cancer (thanks a lot Gran Cheetoh). I’ve always believed that we can solve big problems collectively and that together we are capable of truly transformational change. Will you chip in and help me win this fight so that I can continue to serve my community, to love, to laugh and to live?